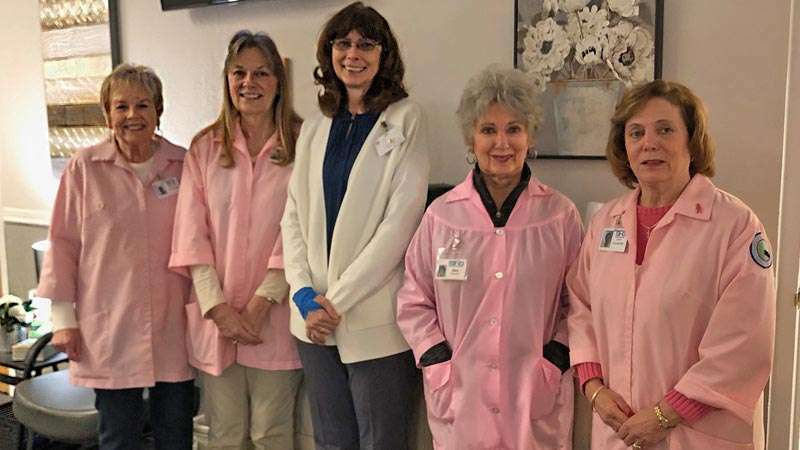 Seneca Hospital and Seneca Healthcare District staff are excited about several new features and services that are taking place at the hospital. Thanks to a generous grant from the Collins Pine Foundation, the district has ordered and will soon have a new van to transport patients at the Skilled Nursing Facility to needed appointments. This new van will be equipped with wheelchair access, geriatric chair capability and easy steps for patients to enter and exit. The hospital is very thankful for the extra level of patient care that can be provided. As patients and visitors enter the hospital, they will be greeted with a completely new look in the freshly remodeled front lobby area. New carpet in the lobby, nursing station and the admitting office, along with bright, clean new colors set the mood for a welcome atmosphere. New furniture and a coffee bar area are accented by new lamps, artwork and other small details, such as the low maintenance greenery and metal vases to bring the look together. The coming weeks will see similar changes to the admitting office with matching paint and coordinated office furniture to complete the makeover. Many staff members and volunteers put in a lot of hard work to complete this project. SHD extends sincere thanks to all of the folks that worked so diligently to get it completed. The district indicated that by making these updates, it is also staying up-to-date with industry standards, which generally update every two to three years. The hospital plans to provide an estimate of the potential cost of services provided to non-emergent patients. Non-emergent care is defined as care that is required to avoid a crisis in the next 24 hours due to an unexpected illness or injury. Providing these estimates will give patients a better idea of their potential cost for that visit, and allows for better transparency regarding the hospital’s pricing for services required. It is important to note that the estimate provided is just that, an estimate, and total charges could potentially differ when the charges are finalized depending on individual cases requiring changes to services delivered. Hospital representatives said they would love to have folks come by and check out all the work that has been done.